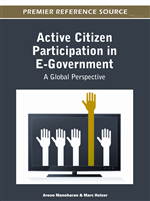 Over the past decade, performance information has been widely available to citizens along with the expansion of e-government, which has magnified communications between citizens and government as well as citizen direct participation in government business. If citizens are informed more about government performance, citizen trust in government should improve. However, there is, in effect, little use of performance information by citizens, since availability to citizens is not very visible. To disseminate the results of performance measurement effectively, government should pay attention to the improvement of performance measurement systems and performance reporting systems with citizen-centered approaches. User-friendly reporting should not just simplify the multi-layers of performance measurement for improving performance itself. Rather, this chapter suggests applying different approaches to present complicated performance information to citizens. Performance reporting should be constructed in modernized, innovative, and user-focused ways to stimulate the use of performance information by external stakeholders, which can promote government accountability. Do citizens care about what their government does? Performance information can fill the gap between government and citizens since it brings citizens’ attention and interest to government. It is often taken for granted that once performance measures are available in a report, accountability is largely achieved. When citizens are aware of performance information at large, accountability can be optimized (Simon & Ridley, 1938). Behn (2008) asserted the importance of performance reporting to citizens through analysis of the Baltimore CitiStat performance measurement initiative. He found that citizens pay less attention to government managerial strategies. Instead, they care about the results of those strategies. Berman (2006) reconfirmed the interests of citizens is in knowing more about their government. “Managing for results” information, however, is hard to obtain in a way that can be understood by citizens. The general public has neither the time nor the background to interpret statistical tables in an intelligent manner. Reporting performance measurement to citizens should be tailored using an explanatory method.